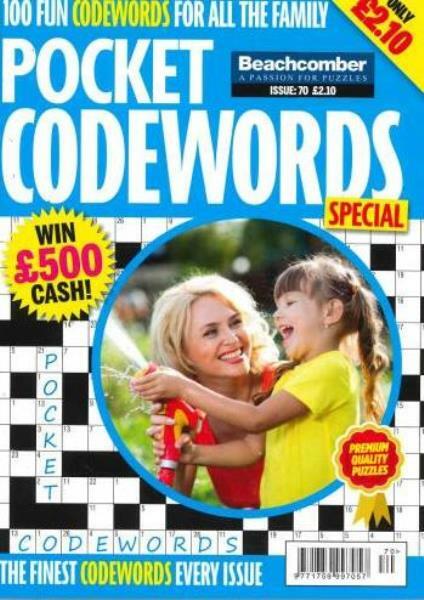 A big selection of codewords in the handy A5, bi monthly format which is the trademark of the very popular Beachcomber Pocket Special range. Good puzzles, that aren't really easy and challenge you a bit. I subscribed to this for a friend who enjoyed code words, but not all the other puzzles that other magazines have - so he prefers this single type puzzle.